We’ve been doing a lot of work on the core mechanics of Okhlos and we’re experimenting with quite a few things, some of them a little weird. It’s quite intensive, and coding for all these tweaks and new ideas has been taking up a lot of Sebastian’s time, so in the meanwhile I’ve been designing Atlantis, one of our new game worlds. We know three basic things about Atlantis: It was circular, it was fictional, and it was somewhere in the middle of the Atlantic Ocean. People tend to imagine Atlantis as an underwater city, since it sank into the Ocean, and we’re running with similar imagery. We’ve ditched the circular part, and are working with the idea that people kept living on it, despite the humidity. 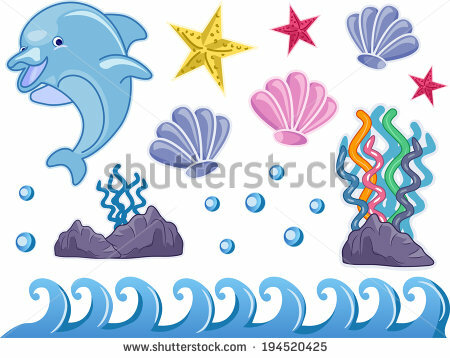 We’ll have a lot of coral and ferns around the buildings, and tridents as ornaments on the roofs and higher floors. We’re having an ongoing problem designing the foliage and we still haven’t decided how to address it. As a soaked, inundated city, there should be no foliage. This is a simple approach, and although it makes sense it’s a bit boring. It definitely lacks something. Rocks, Ferns, and Coral Everywhere. This last option still adds some flair, like the option B, but we took the rocks out of the equation. It looks better and a bit less cluttered, but it still doesn’t feel quite right. We’re going to try a few other things for the foliage and we’ll come up with some more options, but we welcome your opinion on the matter. If you want to see Atlantis within the context of the game, there’s a few screenshots below! This is it for this week, but there’s still a ton of things about Atlantis that I’d like to talk about in the near future! We’d love to hear your feedback about this new game world, so please let us know what you think! This article was proofread and edited by @pfque_! Hey guys! These last few weeks have been very busy for us here at Coffee Powered Machine. We’ve shown our game at three (3!) different exhibits in just as many weeks, and let us tell you – after almost a whole month without weekends, we’re exhausted! We’ve been so busy we didn’t even get a chance to put up an update last week. The events were great though, and we got a lot of great feedback from the people who tried out Okhlos at the various shows. We now have a ton of data to work with as we head back into development. Thanks to any of you who came out and gave our game a shot! Seeing you guys play the game and talking to you has been incredibly helpful. 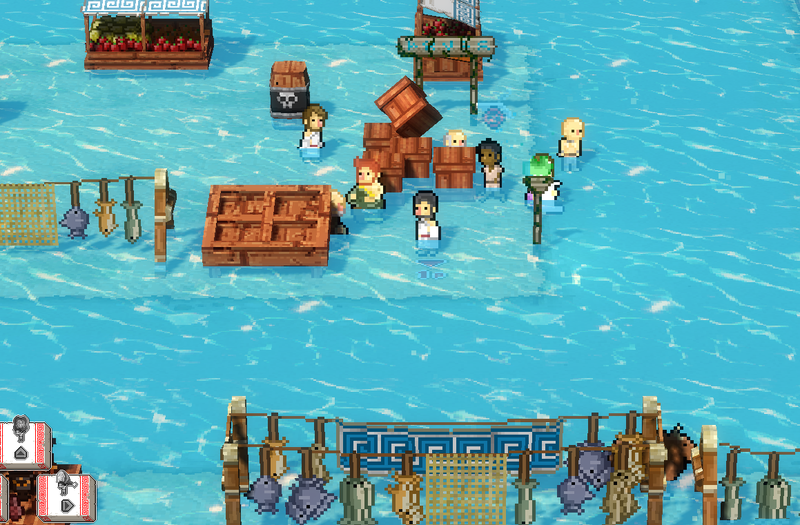 As you might remember from our last update, we had been talking about implementing a new control scheme for Okhlos. We had proposed three different schemes: the non-zero option, the alternate keyboard option, and the mouse option. We got a chance to test out these different control schemes at the various exhibits and have learned a lot from our experiments. Below you’ll find a short break-down of each of these exhibits and what we managed to learn. These were the events in where we showed Okhlos. EVA is short for Exposición de Videojuegos Argentinos, or Argentine Videogames Expo. 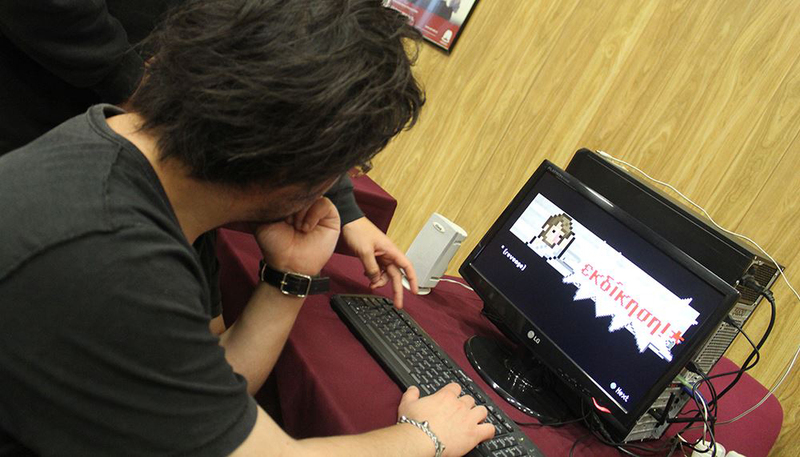 It is the principal videogames event in Argentina, and it’s mainly oriented towards developers. 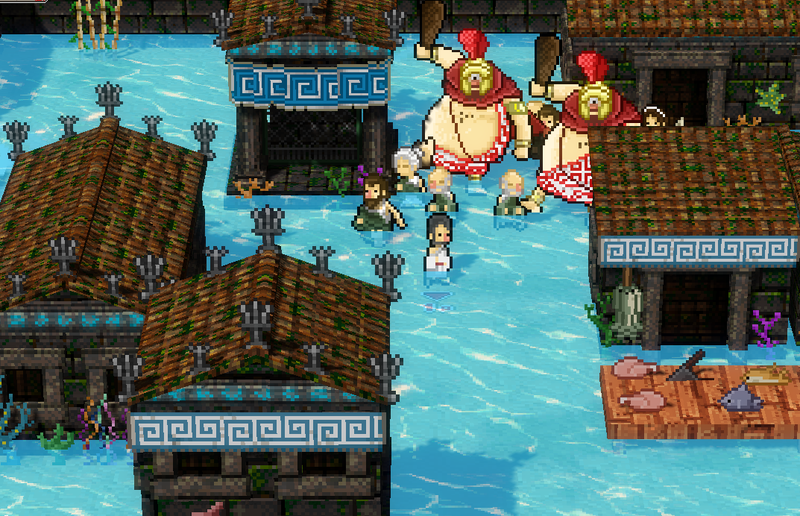 We exhibited Okhlos 0.4.1 during EVA, the same build we sent off to the IGF, and used our original control scheme. The biggest problem with this build was that the players didn’t realize they had to keep holding the second analog stick in position in order to attack. The QTEs also proved problematic as it’s hard to push the face buttons when you’re supposed to be holding the second analog stick at the same time. Unlike EVA, Meet the Game is more of a public event where people get a chance to meet developers and try out their games. One of its goals is to facilitate one-on-one interaction between developers and players. It’s still a small event but there’s a lot of potential in the format and we hope it’ll grow. We showed two different versions of Okhlos at Meet the Game, each one sporting a different control scheme. We showed one with the non-zero joystick layout (scheme 1 in the chart above) and a second one with the mouse layout (scheme 3). We were particularly interested to see how people would feel about controlling the game with a mouse. We had only tested the mouse internally up until that point and hadn’t had a lot of time to tweak its controls. Thanks to Marisol Estevez for the picture! We found out some very interesting things. Players had an easy time with the non-zero joystick scheme, and had no problems attacking enemies throughout the demo. They used the second analog stick to adjust the position of the mob whenever necessary and had no trouble hitting the face buttons during the QTEs. It’s still far from perfect though and we’re still very tempted to eliminate the QTEs altogether. What really amazed us though was how positive the reaction to the mouse scheme was. People really liked it a lot! We were told it felt quite intuitive, which is great! The only problem was that we didn’t map an action to the left mouse button, which, as it turns out, is what players naturally tried first and wanted to use. I guess using the mouse just makes people feel like they’re playing an RTS! I still don’t know what this event was about. It was some kind of scientific or academic tournament endorsed by the IEEE? Maybe it’s just because I’m the graphics guy but I really didn’t get it. It wasn’t as cool or as crowded as the other events but we managed to test out the keyboard scheme nonetheless. Seeing how the attendees (all two of them!) reacted to the keyboard controls we concluded it was a very good control scheme for the game. We changed it a bit from how it’s shown in the graph above – instead of using the Del, End, and Page Down buttons for items we went with the 1, 2, and 3 keys which are much closer to WASD. We realized not all keyboards have Del, End, and Page Down buttons close to the arrow keys. Thanks Yiyo Flauros for the picture! We had a long session with Daniel Benmergui on Friday in which he helped us test out and think through some of our base mechanics. We tried some quick changes, analyzed the flow of the mob, ran through our challenges, and at the end of the day we asked ourselves whether our game is robust enough as it stands right now or whether we have to keep working and tweaking its mechanics. The conclusion we came to was that that we need to keep exploring our base mechanics. We have a cool concept but it’s just not enough. As Daniel said, we need to start thinking in verbs. In the current build you gather, you run, you attack, you solve QTES and you use items. We need to add more verbs to that. And as for removing QTEs, that would make our gameplay even simpler than it already is, so we can’t really afford to just yet. Not until we’ve built something more robust. It was a great experience talking with Daniel and we came out of it with a huge list of changes we want to make. We’re thinking of removing any unnecessary numbers, changing a great part of the HUD, axing the bureaucrats, reducing the options available in the market, and changing the dash. That may seem daunting, but I think one of the things that Daniel helped us corroborate is that doing something original, something that hasn’t been seen in any another game, is very difficult, and we’re on good track to making it happen. We also had an interesting experience with our sound designer, Gordon, @jouste and @Nelsormensch. We had a video chat with them while they played Okhlos, which was a little weird but very cool! We weren’t sure if we should be looking at them or at the screen – they had to turn the laptop around for that – but once it started we were able have a good conversation, even in my rusty English. Their suggestions were very similar to Daniel’s on most things, but they were nonetheless very helpful. Talking about your game always is! We’re very thankful for their feedback and now have plenty of work to keep us busy for quite a while! That’s more or less it! I will continue to work on new worlds for Okhlos and Sebastian has already started conducting weird experiments with the mechanics. We’ll see what come out of all that and we’ll let you know! This article was proofread and edited by our new collaborator, @pfque_!